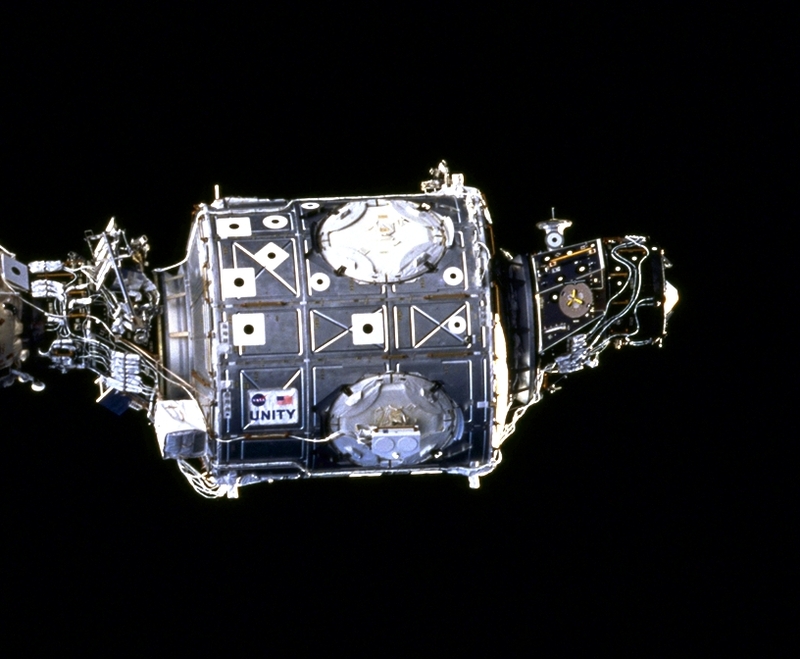 Node 1 "Unity" was the first piece of the USOS, launched into space aboard Space Shuttle Endeavour on STS-88. As one of three "Node" modules, it offers one ISPR ring, aswell as six CBM ports. Following the expansion of the ISS, Unity has become the central node, connecting LAB, NOD3, the Airlock and the Russian Segment (RS). Due to its central location the storage locations contain frequently used materials, such as office supplies and tools. The NOD1P1 rack is fitted with a large table and general supplies (N1 Galley). The Unity module during STS-88, in the early construction phase of the ISS. It's connected to the russian Zarja (FGB) module off screen. Resupply Stowage Racks are general stowage locations aboard USOS - similar to Zero-G Stowage Racks (ZSRs). The are subdivided into 12 compartments, each measuring approximately 50x33x85cm (w,h,d). As opposed to ZSR's, the resupply stowage racks provide higher structural integrity for use during their stay on earth and during launch. Hard plate covers are used on the front face of the rack to secure the contents during launch and ground handling. 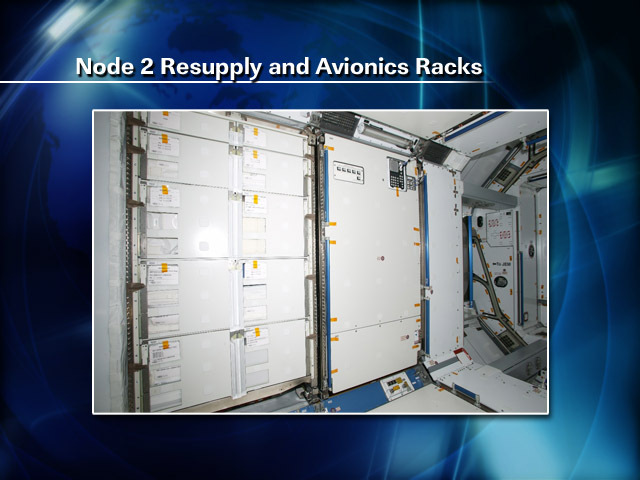 Resupply Stowage Rack (left) installed in NOD2 on STS-120 in September 2007. RSR's from NOD2 have since been relocated. This website uses a cookie to carry error messages and your login status across tiiss' subsites.